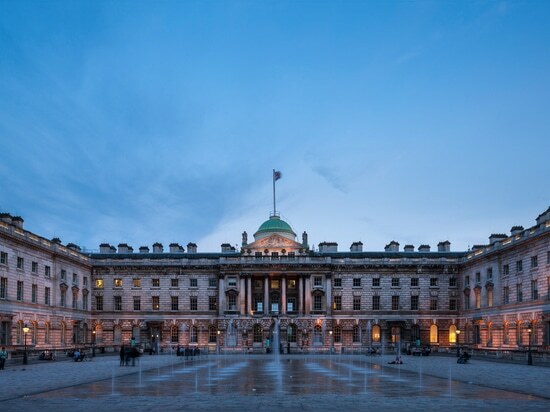 Benjamin Hubert, Alison Brooks and dRMM are among the architects and designers that will create installations for this year's London Design Festival, which is also set to include a crazy golf course part-designed by the late Zaha Hadid. A variety of small- and large-scale installations were announced at a press conference that took place at the city's V&A museum this morning. 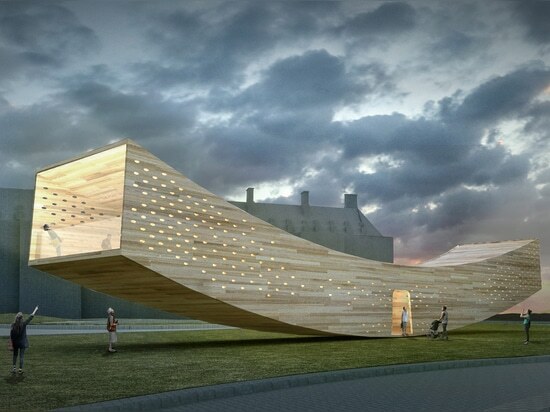 Among the Landmark Projects – which last year included an upside down electricity pylon on Greenwich Peninsula – is an installation in the form of a smile-shaped tunnel by architect Alison Brooks and the American Hardwood Export Council. 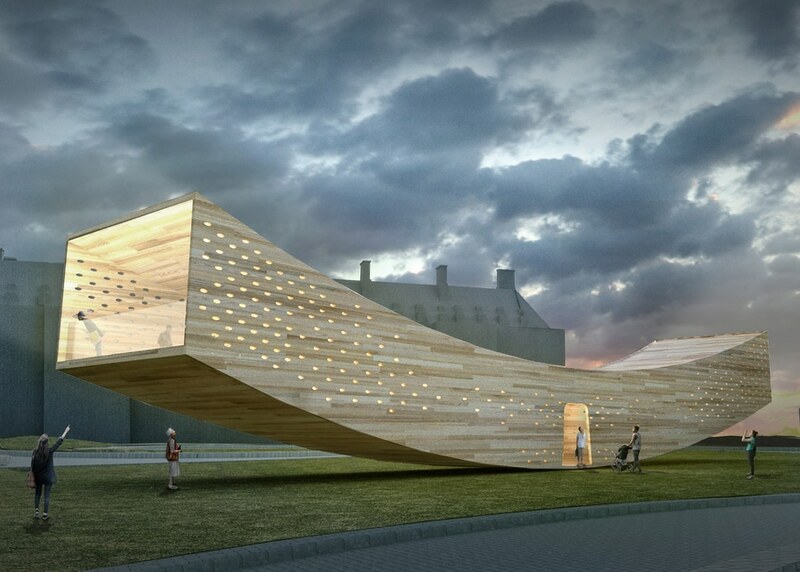 Brooks' Smile installation aims to showcase the structural potential of cross-laminated timber (CLT), and will make use of American tulipwood to create an arch-shaped tunnel that rises off the ground. The timber tube will only touch the floor at one point, and be open at either end. It will feature a series of perforations across its side that allow natural light in through the day, and illuminate at night. Its location is yet to be confirmed. "The Smile is important because it will create the first-ever use of industrial-sized panels of hardwood CLT," said David Venebles of the American Hardwood Export Council. "This is the creation of a brand-new product, and a use of hardwood that could transform the way architects and engineers approach timber construction." 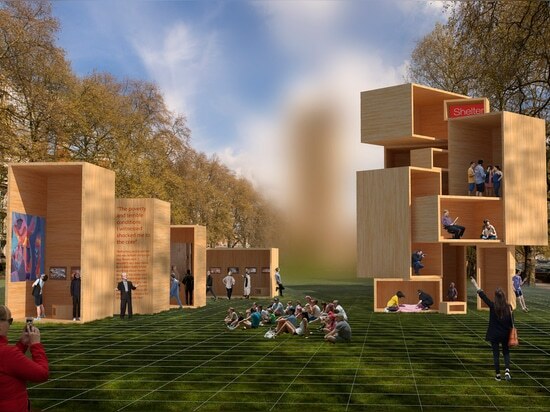 A second landmark project by London architecture studio dRMM will also make use of CLT, and will comprise a series of box-like structures. 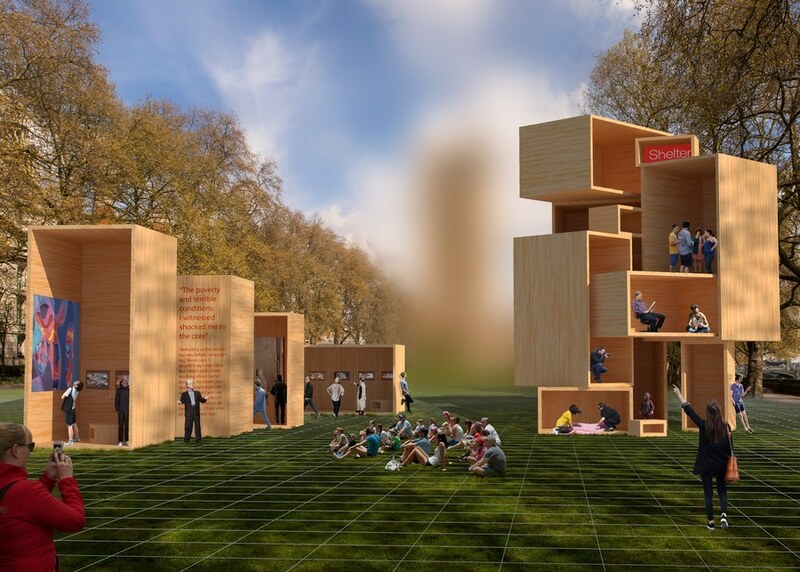 The firm's Baboushka Boxes installation is designed to address the topic of housing and the future of living spaces. "Baboushka Boxes is a conceptual piece; a mini manifesto for change," said dRMM's Alex de Rijke. "Change in the design, procurement, construction and user experience of housing." "Housing here is represented as a prefabricated, strong, adaptable timber family of boxes. Construction is ecologically and economically sustainable," he continued. The final landmark project will be a crazy golf course designed by architects and designers including Tom Dixon, Paul Smith and the late Zaha Hadid, which will take over Trafalgar Square in London. 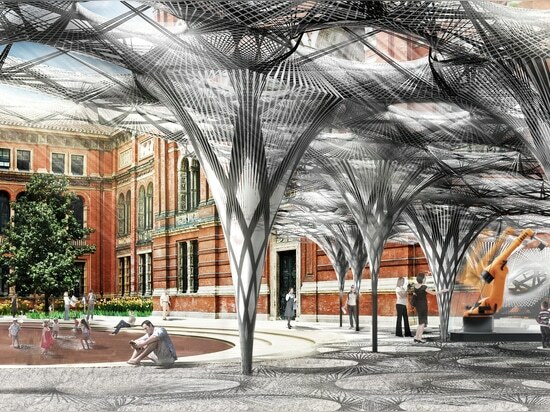 The V&A's programme includes site-specific installations by Glithero, Benjamin Hubert and Layer, and Mathieu Lehanneur. Hubert, who recently unveiled a prototype for the world's first 3D-printed consumer wheelchair, is working with electrical brand Braun to produce an installation based on the shape of the shaver foil found on the company's razors. 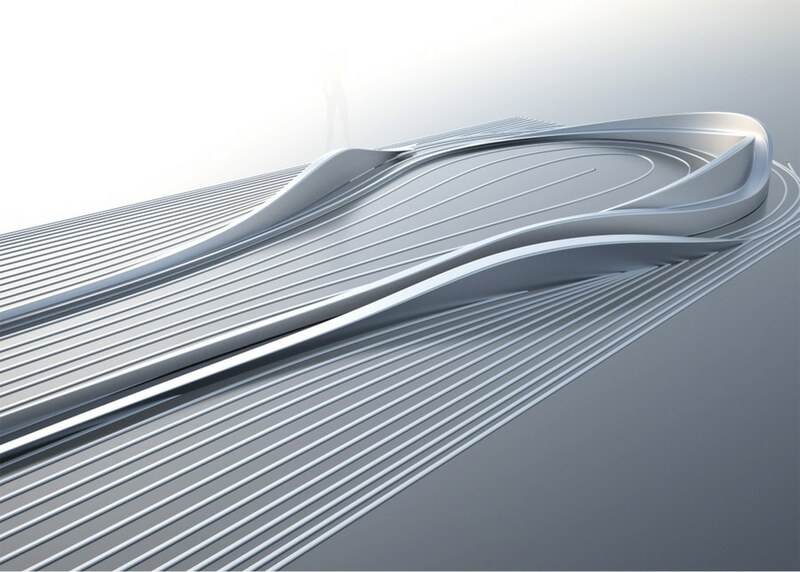 The Foil installation will comprise a 20-metre-long undulating ribbon comprising 40,000 individual metallic elements running through the centre of the room. 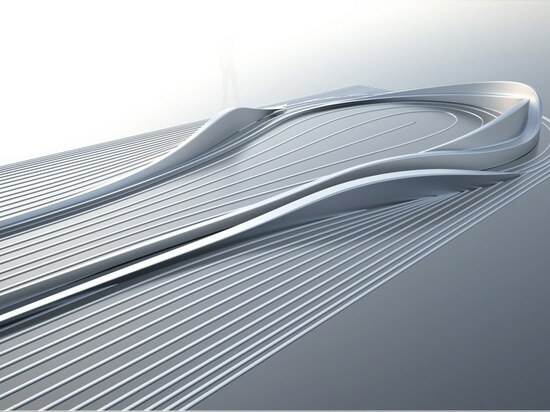 The ribbon will move continuously in a wave-like formation, reflecting and scattering light around the gallery. London-based design duo Glithero is partnering with luxury watch maker Panerai to create a time-based installation emulating the circular motion of the arms of a clock. The pair will use veils of colourful strings that are lifted and dropped in a series of slow, choreographed movements controlled by a motorised arm. 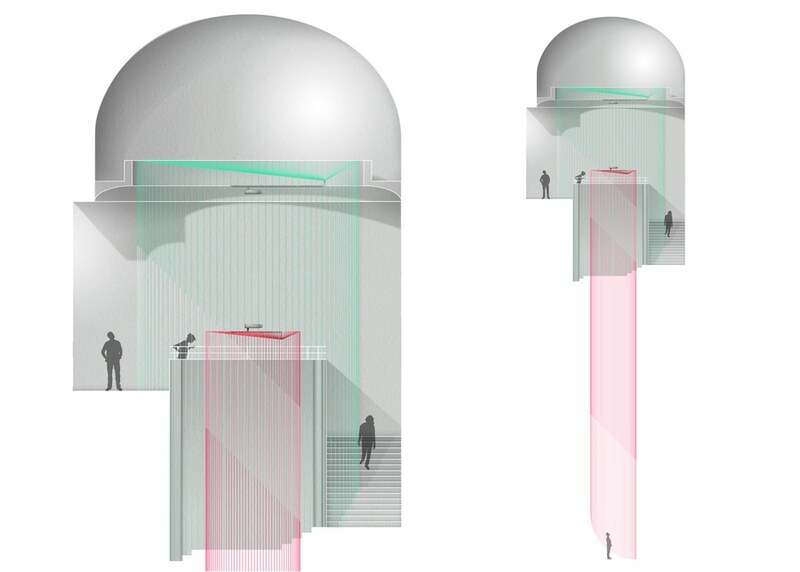 Glithero's Green Room installation will take over Stairwell G, a little-known area of the museum that boasts large round windows and a dramatic high ceiling. 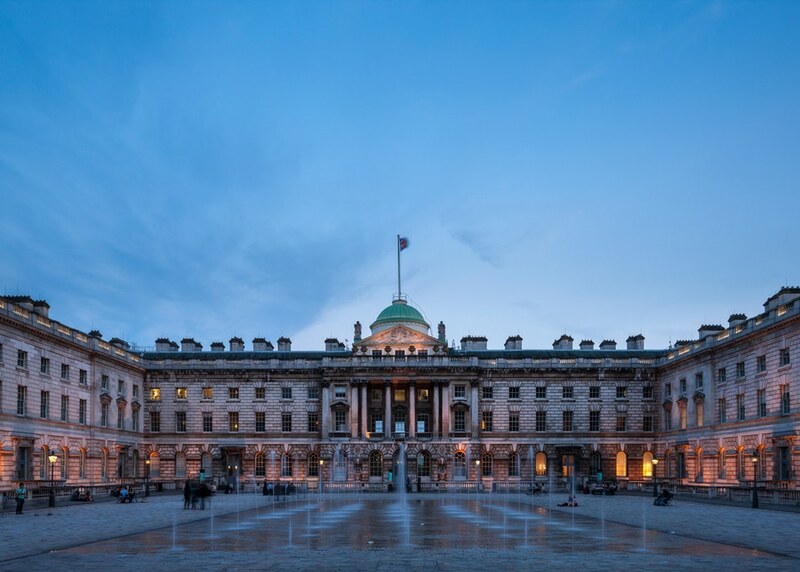 The installations programme forms part of over 400 events that will be held across the capital during London Design Festival, which will run from 17 to 25 September 2016. 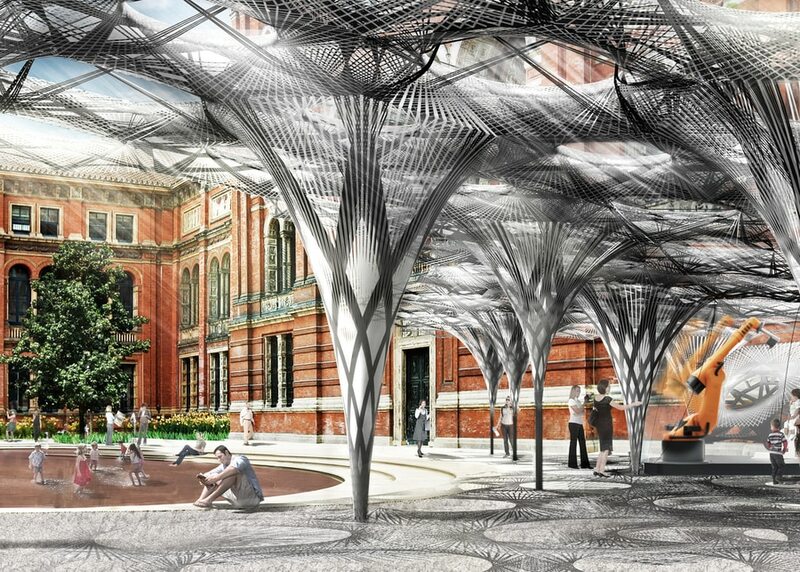 Last year's installations included room filled with hundreds of fluttering insects, a life-sized hand-painted Wooden Tube Station, and an acrylic tunnel designed to distort perspective across a bridge in the V&A museum.